(Natural News) Now that the attack on InfoWars has emboldened the radical Left, Democrat politicians like Sen. Chris Murphy are already calling on Big Tech to deepen their censorship efforts. Murphy, a Democrat from the deep blue state of Connecticut, recently declared on Twitter that the “survival of our democracy” depends on more censorship and suppression. “Infowars is the tip of a giant iceberg of hate and lies that uses sites like Facebook and YouTube to tear our nation apart. These companies must do more than take down one website. The survival of our democracy depends on it,” the senator tweeted. In another Twitter statement, Murphy applauded Silicon Valley corporations for taking down InfoWars and silencing Alex Jones. “They are private companies that shouldn’t knowingly spread lies and hate. They took a good first step today by removing Infowars,” he wrote. Private companies deciding not to let their platforms be used to spread hate and lies is not the same as government censorship. If it feels the same, then we need to ask why a small handful of companies have so much control over the content Americans see. Murphy states, “Private companies deciding not to let their platforms be used to spread hate and lies is not the same as government censorship,” but conveniently neglects the fact that Democratic politicians lobbied Big Tech to censor InfoWars. While these companies are not government agencies, the fact remains that government pushed them to act. Further, Facebook, Twitter and the like operate as public platforms. They are the modern-day town square, they are digital public spaces. These public spaces may be owned by private companies, but there is a very real, very dangerous precedent being set here: Who gets to decide what opinions can be expressed on public platforms. Murphy dismisses InfoWars as a media outlet that spreads “hate and lies” but no one, not even Big Tech, has really provided any clear examples of what social crime Alex Jones’ network recently committed to incite such a blatant attack on free speech. 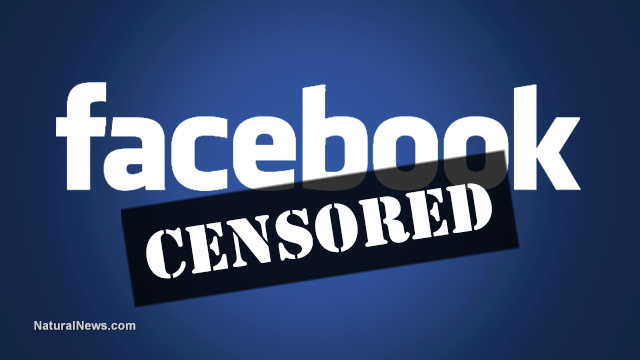 Facebook CEO Mark Zuckerberg has stated before Congress that he cannot define what constitutes “hate speech.” This is dangerous territory because, as Murphy himself noted above, a small handful of people are suddenly granting themselves control over what we hear, see and read. Check out more coverage of stories about censorship borne of political bias at Censored.news.